Oral cancer imposes a significant burden on public health in the USA and many parts of the world. The morbidity of the disease and its treatment can be quite substantial, resulting in disfigurement, pain, impaired speech and swallowing, and overall decreased quality of life. Unfortunately, overall 5-year survival remains approximately 50 %, which has not improved significantly over time despite technological advances in treatment. 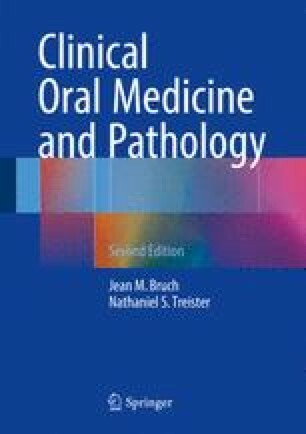 This chapter outlines the epidemiology, major known risk factors, and clinical features of oral malignant and premalignant lesions as well as management guidelines.